You are here : Home \\ Blog || Short Sale Articles \\ Concord Short Sale Just Listed! Concord Short Sale Just Listed! 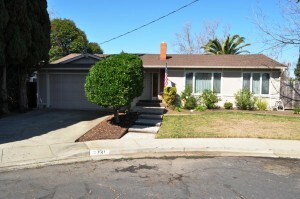 Concord Short Sale just listed by East Bay Short Sale Group! This short sale is a fantastic Single story on a quiet cul-de-sac in Concord! This charming home has many updates including hardwood floors, custom wood cabinets and granite counters in the kitchen! Large backyard with deck, patio and plenty of grass. Located in a very secluded and private neighborhood. This home is move in ready and will go fast! Concord, where this short sale is located, is the largest city in Contra Costa County. The focal point of downtown Concord is Todos Santos Plaza, which encompasses an entire city block and is known for its farmers market, free summer concerts, and large number of surrounding restaurants. Much of the area immediately around downtown has recently been redeveloped, with new high-density apartment and condominium projects to take advantage of the close proximity to public transportation and the vibrant area surrounding the park. Concord has been primarily a bedroom community for San Francisco and Oakland over the last forty years, but during the last decades, jobs within the city have increased.Corporations with strong Bay Area regional ties, such as Chevron and Bank of America, have established extensive back-office operations there, diversifying the local economy. Concord also has a strong retail sector including the Sunvalley Mall, one of the 50 largest malls in the USA, auto dealerships, Costco, and Fry’s Electronics. Concord is served by the Mount Diablo Unified School District. Concord’s Clayton Valley High School is home to several acclaimed California academies, specifically Clayton Arts Academy, a four year English, social studies and arts based program with an emphasis on cross curricular projects. Concord is also home to Mt. Diablo High School, opened in 1905. If you are interested in previewing any of our properties please contact us at East Bay Short Sale Group to arrange for an appointment. If you already have an agent you are working with, ask them to arrange for a showing. Otherwise if you are a seller in Concord or other areas of Alameda & Contra Costa County and would like to learn more about how the short sale process works, please contact us for a free consultation and let us help you make your short sale a success! Thanks for taking the time to read about this Concord short sale! Previous post: Dublin Short Sale is now Pending! Navigation: Weblog / Blog article: Concord Short Sale Just Listed!